Who can you trust for lower back pain advice? Some doctors want your money and companies are trying to sell you products. Is there an objective source of guidance? Yes. We are here to fill this role with over 15 years of experience educating and advocating for patients worldwide. If you are looking for the real facts of lower back pain and how it should be managed, then you have certainly come to the right place. We value the trust placed in us and will never let you down. Advice is a difficult thing to provide. This is because every patient is unique and their pain is also highly case-specific. Patients often write to us asking for a “magic solution” to their pain, as if we are hiding it away from the world. Others write with only basic information about themselves, but expect us to provide very specific step-by-step directions on how they should go about curing themselves. Obviously, these are impossible scenarios to provide guidance on and we would be crazy to try. However, we can provide truly insightful advice that can help you to help yourself when it comes to finding lasting lower back pain relief. This patient primer provides an easy-to-follow set of instructions that will get you prepared to become the leader of your healthcare team. We will provide all the guidance that is universally applicable to each and every patient in order to empower them to find their own cure. 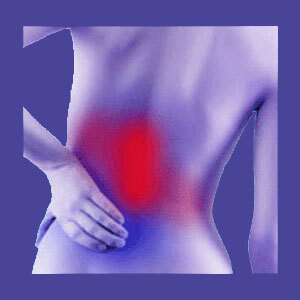 When it comes to being a chronic lower back pain patient, being passive is the worst thing you can do. So many people simply allow their doctors to tell them whatever they want, regardless of the truth or logic of the diagnostic verdict. They also allow their doctors to create a treatment plan, regardless of whether the therapies are needed, indicated or safe. They have nothing to say during the entire process and prefer to allow their lives to literally be held in the hands of care providers who might value their money more than their wellbeing. The patient makes no attempts to understand or learn about their diagnosis, treatment options or their health, in general. We find this to be almost unreal. How can some people be so passive as to literally forfeit their lives out of ignorance? Once diagnosed, be certain to thank the doctor for their opinion and tell them that you will now take some time to learn about the diagnosis. Go home and get to work! Research like your life depends on it, because it just might. Learn about the diagnosis from quality and objective sources of information, such as this website and the other sites in The Cure Back Pain Network. If questions come up along the way, or if anything does not seem right to you, be sure to call your doctor and speak to them directly about your concerns. If they do not want to take the time to talk to you, then fire them. They are not good choices for caregivers. Additionally, once you are educated about the diagnosis you have received, be sure to seek a second or third opinion from different care providers, preferably from different healing backgrounds. Do not allow these doctors to have access to the original doctor’s opinions. This will help to insure objectivity and honesty during the new consultations. Once you accept that a diagnosis is correct, only then is it time to consider treatment. Never rush this process, since misdiagnosis is an epic-scale problem in the lower back pain treatment sector. Research your many options. There are traditional medical care practices to consider, as well as complementary and alternative care techniques, as well. You might decide that you do not require any treatment, especially if the symptoms are manageable, the condition is not pathological and the therapy options are all hazardous to your health. If you do proceed forward into professional care, always try to focus on clarifying your pain relief goals. Are you content with symptom-based care or do you prefer to enjoy a true cure for pain without the chance for recurrence or the need for continuing therapy? If you decide on a surgical therapy, always choose the one that can accomplish the therapeutic objective with the least amount of collateral damage to healthy tissues. This means always choosing minimally invasive care when it is available. Finally, never allow a doctor to pressure you into a particular treatment path just because it is a service that they offer. Of course physicians will try to sell you on a therapy that they can perform. This is basic business sense. You must decide on the best path for you, even if this means finding a different doctor who offers the service. It is worth the extra effort!